It’s the fantasy and dungeon edition of the News Brief as we get besieged, pillage a village, fight in the Wildlands, and… have a tea party with dinosaurs?! The castle is besieged! Mountain giants trample the fields, fire riders burn the surrounding settlements, and the ice dragon has nested on top of the citadel tower. Only a squad of stubborn heroes stands between the enemies and ultimate victory. Originally released in Polish in 2016, Z-Man games has now brought Bastion to the United States, and it’s available now. Bastion is a co-operative board game of resource managment, defense construction, and magic. Gain new abilities, build powerful artifacts, and perform magic rituals to learn spells by defeating enemies. Defend the city with your concerted efforts or fall under the pressure of the attacking hordes. Buy Bastion for a highly customizable and replayable co-operative siege defense game, with several scenarios and difficulty settings – it even has a solo mode! You can pick up Bastion right here. Martin Wallace has been a busy bee lately, with Auztralia getting almost 4,000 backers on Kickstarter and a new release announced by Osprey Games: Wildlands. Unusually for Wallace (and Osprey! ), Wildlands is a tactical skirmish fantasy miniatures game with asymmetrical factions and card-driven gameplay. Wildlands is due out towards the end of the year but is available for pre-order right now. Featuring an absurd sense of humor (the game is set in Dinoton Abbey), the conceit is that you’re at a tea party where no one can remember anyone’s name, dinosaurs of course not famed for their incredible memory skills. But rather than commit an embarassing faux pas and get their name wrong, players must deduce who they’re talking to by asking questions about the other characters. Village Pillage is beautiful, whimsical card driven bluffing with simultaneous card play. 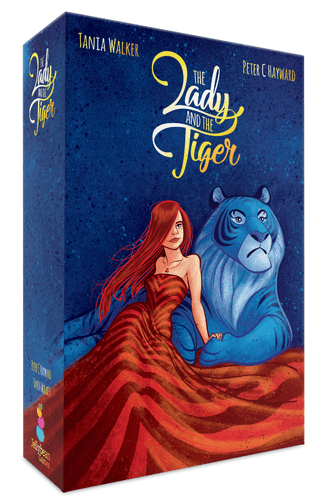 Illustrated by ex-Disney Tania Walker of The Lady and the Tiger, expect a fast playing, turnip-swindling hit. Mottainai was a wild success, and so Wutai Mountain is here. An expansion to the game of monastic minimalism brings more complex and satisfying gameplay to the game of complication and satisfaction. Get Wutai Mountain from the KS page, and Mottainai itself is available in our store. Inspired by a particularly brutal playthrough of Darkest Dungeon, Unbroken is a solo game for one adventurer trying to make it through a dungeon unbroken by its challenges. How far can you push? Tense, unforgiving, and fair, Unbroken looks like a must-get for solo gamers. It’s been compared to Mage Knight, and was designed by the man behind Dungeons & Dragons, Assault of the Giants. It’s also tearing up the charts on BoardGamePrices – grab your copy now before they’re all gone! Draft a team of heroes and pit them against each other, the dungeon itself, or brave it alone – Dungeon Alliance is a board game of deck-building and dungeon-crawling that can be played co-operatively, competitively, or solo. Featuring a unique cardplay system that forces players to make tactical decisions at every turn, this game is no mere hack and slash. Designed by Andrew Parks (Core Worlds, Assault of the Giants) Dungeon Alliance requires deep thought, careful planning, and a plan to deal with the dungeon’s canniest obstacles (or the machinations of your fellow players).